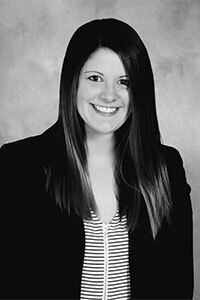 Amy M. Robertson joined the Allen Law Group as an attorney in the beginning of 2017. Prior to joining the ALG team, Ms. Robertson practiced in the State of Minnesota and gained a wide-range of experience represented clients in both small boutique firms as well as large national firms in matters ranging from employment law issues to complex litigation and class actions. Since graduating law school, her practice has focused on labor and employment issues, administrative law, and civil litigation. Coming from a background in technical writing, Ms. Robertson draws on a unique background that makes her particularly adept at communicating complex information in a strong, persuasive manner whether it be at the negotiating table or before a judge. She takes pride in making every effort to keep her clients informed and assured that their interests are being looked after by a highly motivated, energetic attorney that seeks to build a transparent, trustworthy relationship with each of her clients. Ms. Robertson graduated from the University of St. Thomas School of Law located in downtown Minneapolis and was a senior editor of the St. Thomas School of Law Journal of Law and Public Policy. She has published multiple articles in Minneapolis’s Hennepin Lawyer Magazine, has taught continuing legal education through Minnesota CLE, and regularly engages in the community whether it be as a volunteer attorney or serving on the Board of Directors for community non-profits.